While intercom systems in Sydney might be common in apartment developments or holiday accommodation, they are far less common in suburban houses. But this might be to the detriment of those who live in the suburbs, as there are a wealth of benefits that home intercom systems can bring; including some that might surprise you. 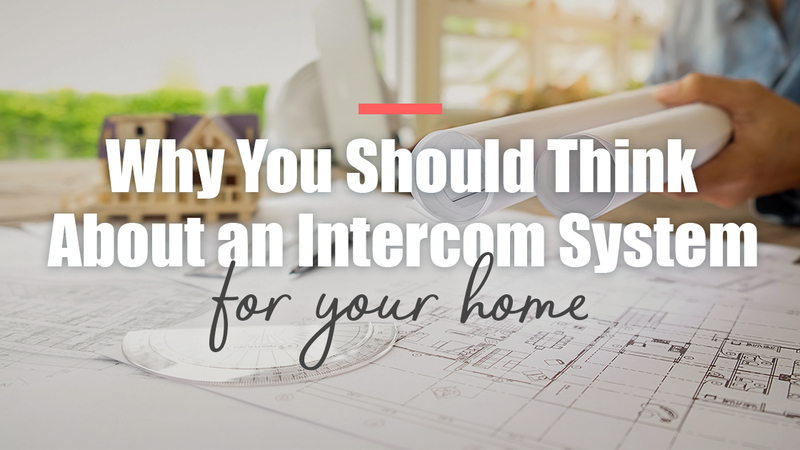 So why should you think about installing an intercom system in your Sydney home? Let’s take a look at three of the main benefits that such an installation brings. When someone knocks at your door, you’re compelled to open it. But what if the person on the other side has questionable intentions? An intercom system allows you to talk clearly with the person at the door, and may allow you to see an image of them too. If you don’t recognise the person, you can use the intercom to find out exactly what they’re doing on your doorstep, and whether or not you should open the door. This instant and safe identification not only offers you increased security, it can also save you from opening the door to those annoying professional door knockers. We’ve all been there – you’re just about to jump in the shower or you’re halfway through a meal and the door knocks. Intercom systems allow you to answer the door without physically running to the door, allowing you to get on with what you’re doing if the visitor is unwanted. This is particularly beneficial for larger homes. Intercom systems also allow you to monitor the goings-on both inside and outside your home. If the kids are playing the front yard you can keep an eye on them, and order them inside when dinner is ready. You can check whatever area you set up the intercom system in, be it the garage, a kid’s room or the study. Need help installing intercom systems in your home? Call us on 1300 13 40 33 or visit our website.